My husband and best friend love horror movies. Some of my husband’s favorite memories of spending time with his father are the weekends they would watch scary movies together. Although I am a fan of vampires in fiction and on film, I can sometimes be a bit squeamish when it comes to gore and tend to prefer with my horror with a bit of humor or an intellectual bent. Whether or not you are typically a horror fan, I’d recommend checking out one of these films for Halloween this year. Stop in for this month’s book discussion which is Peter Straub’s horror classic Ghost Story on October 20 at 6 pm. There will also be a spooky film screening and discussion on October 23 at 6 pm. 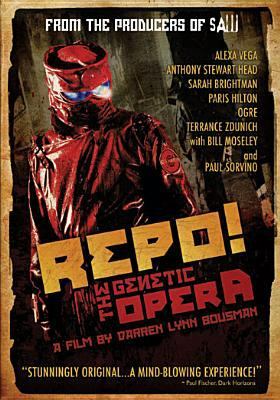 Repo! is one of not only my favorite horror films, but also my favorite movies in general. The quirky film deals with a future where organ transplants can conveniently be paid for by installment plans, but fail to make a payment and your organs will be repossessed. Repo! came out in 2008, prior to 2010’s similarly plotted Repo Men. The movie is a rock opera, which is differentiated from a musical in that every line is sung rather than just musical numbers interspersing scenes of spoken dialogue. The songs are clever and enjoyable. Sarah Brightman with her ethereal voice is especially lovely. If you are a fan of the Buffy the Vampire Slayer series, like me, you will enjoy Anthony Stewart Head’s role as an organ repo man. Alexa Vega who starred in Spy Kids was also terrific as his daughter and I hope that in the future she will have more featured adult roles. Paris Hilton was even enjoyable in her small role as a spoiled socialite obsessed with plastic surgery. If you enjoy The Rocky Horror Picture Show, you must check out this film! Recently at Voltaire’s Necrocomicon Convention I enjoyed Darren Lynn Bousman’s 2012 musical horror follow up The Devil’s Carnival, which features several of the actor’s from Repo!, but additionally the vocal talents of Emilie Autumn. 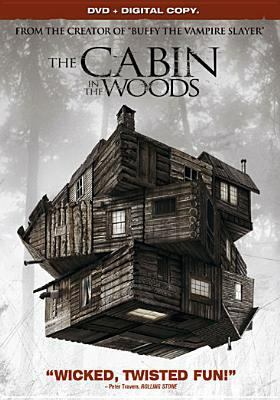 The most recent film on my list, my husband picked Cabin in the Woods out for a “date” night recently since he thought I would enjoy it since it was written by Buffy TVS/Angel writers Drew Goddard and Joss Whedon. Amy Acker who starred as the brainy shy girl, Fred, on Angel also has a role in the film. We popped some popcorn, made some delicious and appropriately named bloodbath cocktails, and settled in for what turned out to be a fun, humorous, and suspenseful twist on the classic horror genre. I don’t want to give away too many spoilers involving the plot, but the college students on break at a remote cabin behave in typical horror movie fashion, however, much of this is motivated by mysterious scientists spying on them and influencing what is happening in subtle ways. This film is definitely worth checking out especially if you are a fan of movies like Scream which play with the idea of horror conventions while still keeping with the suspense of the genre. I went to see Pan’s Labyrinth with my father at the small local theater near my hometown that shows indie and foreign films when it first came out in 2006. 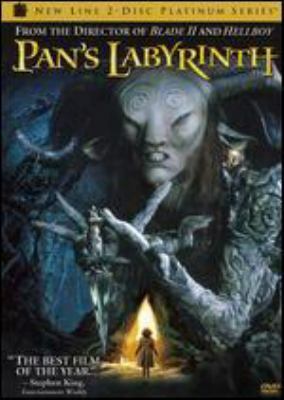 Pan’s Labyrinth, written and directed by Guillermo Del Toro, is a Spanish language film set during the aftermath of the Spanish Civil War. The film centers on Ofelia a young girl whose mother is about to marry a brutal army captain. Ofelia wanders into the nearby labyrinth and it is unclear at times whether the fantasy is the imagination of a child or if she truly is the princess of this other realm. The visuals of Pan and the other creatures of the labyrinth are hauntingly stunning and the horror of the fantastic is juxtaposed meaningfully with those of the very real war. I’ve enjoyed some of Del Toro’s other films such as Hellboy and Pacific Rim, but none has had the emotional resonance of this film, which still haunts me nearly a decade later. Del Toro’s film The Devil’s Backbone also mixes the supernatural with Spanish history, in that case being set during the Spanish Civil War. I saw Nosferatu in an introductory film class and then several years later when I was living in the Boston suburbs for graduate school viewed Shadow of the Vampire with my roommate at the charming non for profit art deco Coolidge Corner Theatre near where we lived. Nosferatu is a German silent film by F.W. Murnau from 1922. It adapts Bram Stoker’s Dracula novel, but due to not having rights to the books Murnau changed the count’s name to Count Orlock. Even without dialogue the film is still quite visually stunning and is one of my favorite vampire films. Max Schreck with the minimal effects of the time seems truly transformed. 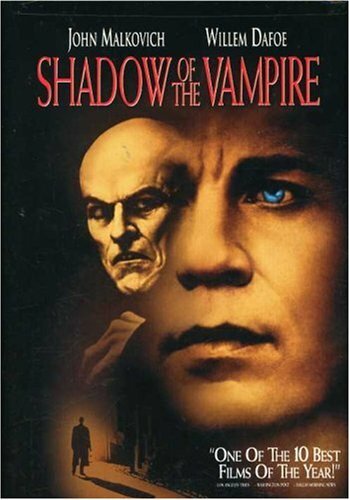 Shadow of the Vampire from 2000 stars John Malkovich as F.W. Murnau and Willem Dafoe as Max Schreck. 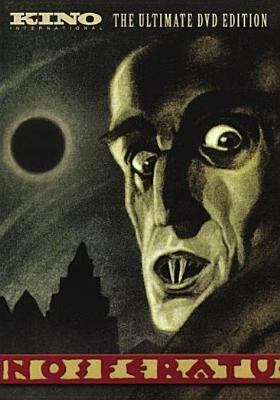 The film plays with the idea that Schreck so perfectly captures the idea of the nosferatu/ vampire because he is in fact a vampire himself. I recommend borrowing these films together to make a fun double feature. You can be the judge if you think Schreck was a talented actor or truly one of the undead. I love Tim Burton and was thrilled when I got to see props from Beetlejuice and other of Burton’s films when there was a special Tim Burton exhibit at the Museum of Modern Art back in 2009/2010. Beetlejuice is one of the films like Lost Boys or The Craft I have to stop and watch any time it is on TV. I love the quirky dark humor and if I’m ever a ghost I hope the afterlife is similar to the one depicted in the film. Michael Keaton’s clown like ghost Betelgeuse gave me the creeps as a kid back when Beetlejuice came out in the late 80’s, but I totally thought Winona Ryder’s Lydia was the height of gothic girl cool. I still enjoy the clever premise of the movie, that straight laced ghosts played by Alec Baldwin and Geena Davis, want the odd balls that have moved into their old home to be scared away so they get Betelgeuse as a sort of reverse exorcist. 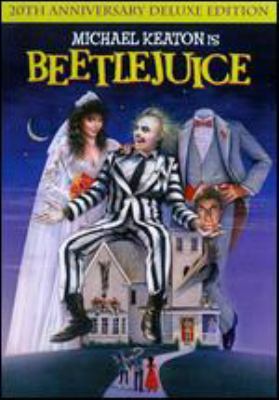 If you were also a child of the 80’s/90’s and a fan of the cartoon series where Beetlejuice and Lydia are best friends, you can borrow that as well from BCCLS libraries.